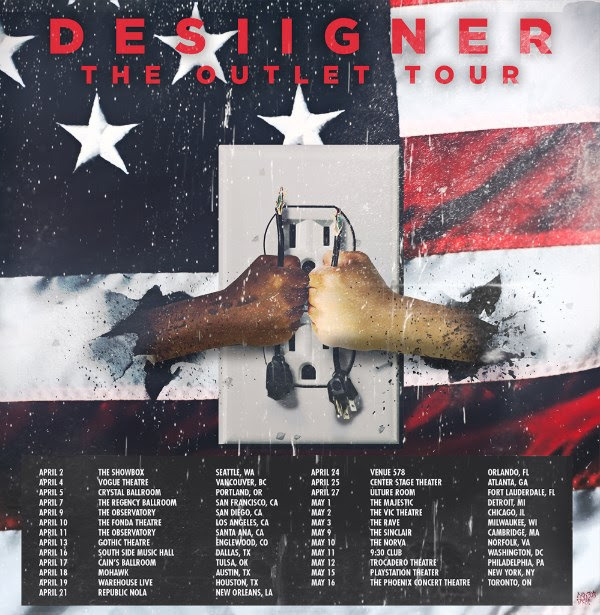 CONCERT & TOUR ALERT | Desiigner 'The Outlet Tour' Dates & Info ~ Phresh Hott New! Desiigner announces ‘The Outlet Tour’ with 25-date which set to kick off April 2 in Settle, WA. Leading Vancouver, San Francisco, L.A., Houston, Atlanta and many more cities. Tickets are now available >> https://www.aegpresents.com/search?term=desiigner. For More Info www.AEGLIVE.com. Full itinerary provided below.